Dr. Bowles is thrilled to be leading the Burke Forest Family. She is originally from Wytheville, VA. She graduated from the College of William and Mary in 2003 with a bachelors in Biology. She then attended VRCVM (the vet school on Virginia Tech). She graduated in 2007 in the top of her class. Following graduation, she complete an internship in Small Animal Medicine in Charlotte North Carolina. She has lived in Springfield since 2008. She shares her life with her two small children, Mercury, a bouncy boxer, and Darby an adorable puggle. Buttercup, her squishy orange kitty lives in the office where life is calmer. Being a working veterinarian, mom and wife, her times for hobbies is limited. She loves to read in her quiet moments. As you can tell from her picture, Boxer's take a special place in her heart. Pictured with her is her first love, Copper. Although he passed in 2013, their bond pushes her to be a better veterinarian every day. 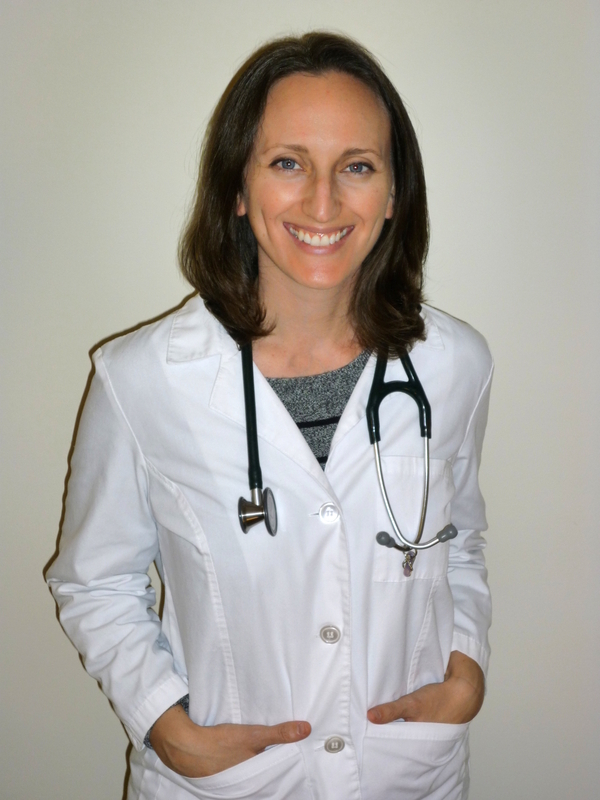 Dr. Andrea Vanderson is excited to be joining the Burke Forest team, having grown up right here in Springfield, VA. She attended Duke University for her undergraduate education, completed a Masters degree at Georgetown University, and earned her doctorate in veterinary medicine from the University of California, Davis. After finishing her education, she returned home to Northern Virginia to be closer to family and to once again enjoy a climate with four seasons! 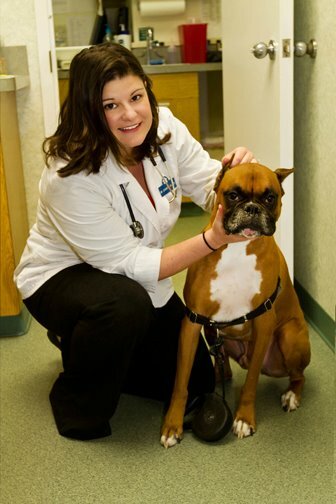 She has been practicing as a small animal vet for several years, and her professional interests include the management of chronic conditions, behavior, and dermatology. When not working, she enjoys spending time with her husband, Dave, her toddler and baby (Ben and Jeff), and her spoiled kitties (Rajah and Figaro). She also enjoys knitting, baking, and doing crossword puzzles. We'd love to hear from you, please contact us today!